It’s like asking people if they could use more money. The obvious answer is that everyone needs more conversions. In the case of mortgage marketing, however, the problem is that you sometimes run out of ideas. Lead generation pages, or landing pages, are the lifeblood of your sales funnel system. They’re the landing strip of your website, the guiding light that tells interested prospects where to go next. In essence, your lead generation pages can attract potential clients, reel them in, and even make the conversion while you sleep—so it pays to think a lot about them when you initially set them up. On this blog, you’ve probably noticed that I like to talk about “giving” a lot. For example, a great blog post is giving away free reading material. That, in turn, attracts readers. The same is true for your lead generation pages. They should be more than mere landing pages. 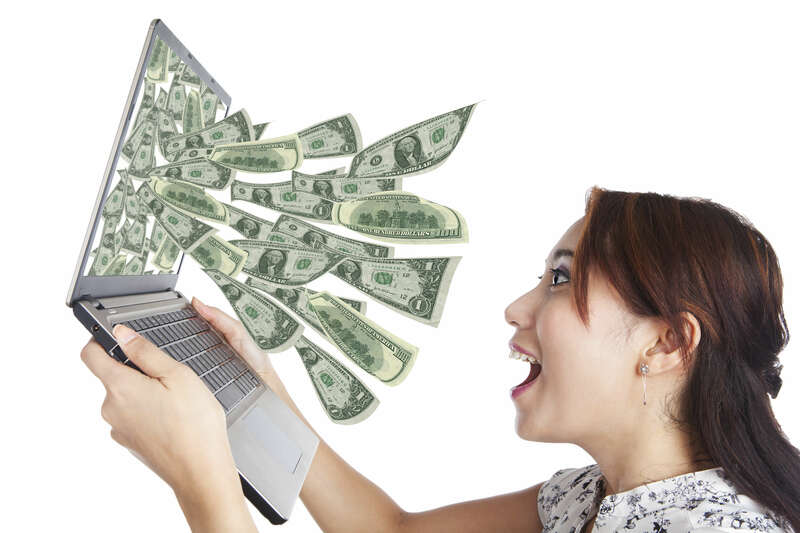 They should be true generators in that they attract and generate conversions all by themselves. And that means they have to be pretty special. People these days love calculators and tools. Why not? Many people are browsing your site on a mobile device, and they like quick answers. If they can input a few variables and know exactly where they stand, then they’re going to come and check out your calculator. One of the best tools in the business: a home values calculator. By having them input some variables, your tool can estimate the value of their home. Granted, there might be some fine print that these answers are subject to variance. But in all, people like having an idea of where they end up. It’s why people selling their cars go to specific websites, just to find out what they can get for their ’06 Honda Civic. By providing a home values lead generation page to your potential clients, you’re essentially giving away information. The great part here is that you’re giving away the exact information that someone who might be interested in your services would be interested in receiving. It’s a perfect match of niche to need. While many people turn to the top search engines of the day—Google comes to mind—to find their homes, they also use these search engines to narrow their search down to…well, better search directories. They’re searching for homes. As a mortgage marketer, your job is to become the site worth visiting. That means building a Home Search lead generation page. Allow them to search through various directories in their area. This might require integration with third parties, but it’s worth investigating for the value it brings to your potential leads alone. What’s more, the home search tool has a quality shot at landing your site high on a list of quality keywords in the mortgage industry. If your usual role is to connect people with their homes, a home search tool is an invaluable way of attracting the exact right type of potential lead. The home search tool is another great way to incorporate a sales funnel. Capturing emails is much easier when you have something to offer right off the bat. The same goes for any effective landing page—so long as it hits the right niche. 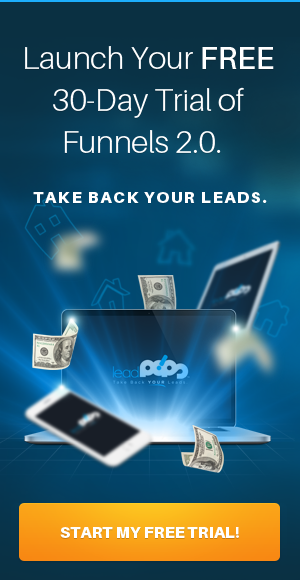 The home search lead generation page is a perfect example of a tool that does it exactly. Don’t forget to narrow it down to a specific niche, either. “Home” is kind of vague. But condos, luxury homes, golf course homes, beachfront homes, “coming soon” listings, for sale by owner…now you’re talking specifics. And that’s a good thing, because it means you can capture top billing in more specific niches when it comes to your placement in search engines. It also means that you’ll do a better job of attracting qualified leads. After all, people searching within a specific niche already have a clear idea of what they need. For someone just starting out, there’s nothing quite like a mortgage calculator. A mortgage calculator is a tool that takes someone’s dreams and helps them see how they might be able to turn them into reality. A tool that brings the abstract into the concrete. Simply put, a mortgage calculator is a great way to entice someone to click through to your page and read about your services. Helping people figure out what it is they want to spend their money on is a pretty good position for any business to be in. With a mortgage calculator, you put yourself in front of this process. You not only introduce a valuable tool that entices more readership, but you begin the process of establishing trust. 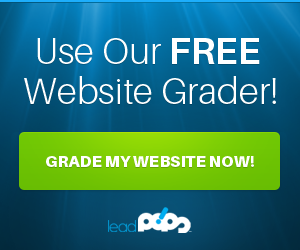 One of the most important things to remember about lead generation pages? It’s all right there. That means elements like trust, calls to action, and value are all built-in. It’s more than just a landing page, especially when you incorporate a valuable tool like a mortgage calculator. This one isn’t quite on the beaten path…but you came here for ideas. A blog is one of the best ways to build trust. After all, if someone reads your expert voice in post after post, eventually, they’re going to come around to the idea that you know what you’re talking about. And if you create posts with value—posts that have genuine insights and share ideas with their readers—eventually you’re going to attract people who want to read more. Those people then skip around your blog and look for archives and comprehensive, navigable pages. Using a blog archive as a lead generation page can be a great way to entice people to find out more. Something that simple can be the difference between another bland blog archive page…and a genuine, lead-generating landing page. These ideas are great steps forward. But the key to understanding lead generation pages is through mentality. Get used to the idea of putting in enough work to make one page both worth visiting and worth following through. If you don’t think it’s worth it, why would any potential client ever think so? The key is to understand that a lead generation page is more than just a landing spot. It’s a place to earn your potential clients’ trust, demonstrate your value, and entice them to learn more. Any of the ideas in this post are great starts. But you’re the one who’s going to have to finish it. That’s why I recommend a free trial of leadPops. Create a free account and start learning what generating leads is all about—today.